Where Was Red Dead Redemption 2 at E3 2018? Red Dead Redemption 2 has been noticeably absent from E3 2018. While strolling through the halls of E3 2018 and taking in the booths and banners for all the games at the show, it occurred to me that we haven’t heard the smallest peep from what is sure to be the biggest title of the year, Red Dead Redemption 2. One would think as Rockstar prepares for the release of their upcoming western-themed action-adventure game this fall that they would want to build hype, and E3 is the perfect place to do that. Other than a single banner spotted by the Shacknews staff (and probably thousands of others), Red Dead Redemption 2 has had no noticeable presence at E3 2018. It wasn’t featured in any of the press conferences, Rockstar doesn’t have a booth, and there have been no gameplay trailers or developer interviews to speak of. Although most publishers and developers use E3 to hype their upcoming games, the truth is Rockstar is in a position where they don’t need to do that in a traditional way. Grand Theft Auto V has been a smash hit with gamers since it released in 2013, and its success has fans eager to get their hands on Red Dead Redemption 2. Rockstar has developed a reputation for creating games of the highest quality, and that’s the best marketing strategy in the world. Truth be told, there are probably many reasons why Rockstar has opted to keep Red Dead Redemption 2 out of the E3 2018 spotlight, and it’s unlikely we’ll ever hear them. That’s fine, though. When the release date for Red Dead Redemption 2 rolls around this fall, it won’t be Rockstar’s E3 2018 presence people care about, it will be the quality of the experience. 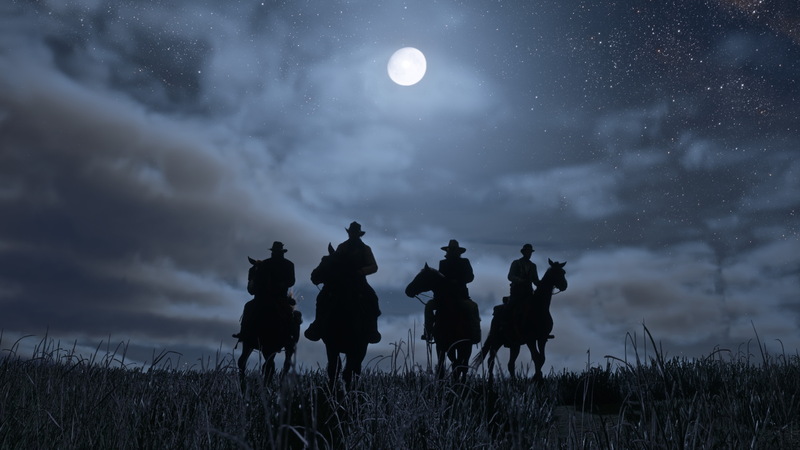 Bill Lavoy posted a new article, Where Was Red Dead Redemption 2 at E3 2018?